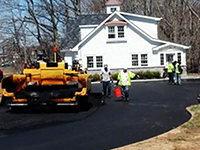 South Shore Paving, located in Sayreville/Parlin NJ, provides a wide range of asphalt services. 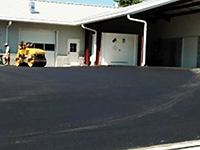 We start by meeting you onsite to go over your asphalt paving project, and then we prepare a detailed estimate with several options of how to address your parking lot paving concerns. We use modern equipment and the latest techniques for installing asphalt. From a pot hole patch to a new construction parking lot, we have the expertise and equipment for all your paving needs. Asphalt paving is economical, durable, recyclable, quiet, versatile, and smooth. We start by meeting you onsite to go over your paving project, and then we prepare a detailed estimate with several options of how to address your paving concerns. We use modern equipment and the latest techniques for installing asphalt. From a pot hole patch to a new construction parking lot, we have the expertise and equipment for all your paving needs. Asphalt paving is economical, durable, recyclable, quiet, versatile, and smooth. 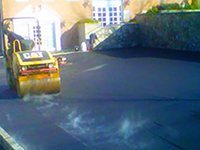 Hot-Mix Asphalt paving (HMA) is America’s #1 pavement choice. Over 93 % of the highways in America use smooth, quiet, and durable asphalt paving. Asphalt paving is also America’s #1 recycled product. Over 80 Million tons of asphalt paving are recycled each year into new green HMA pavements. 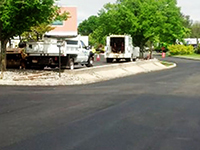 Asphalt paved roadways can be designed to be Perpetual Pavements where the thick lift base layers remain in place in perpetuity while the 2-3” surface course is milled of and recycled into a new wearing course every 20 years. 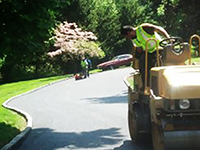 Asphalt paving in Sayreville NJ is the sustainable material for constructing pavements. From the production of the paving material, to the placement of the pavement on the road, to rehabilitation, through recycling, asphalt paving minimize impact on the environment. Low consumption of energy for production and construction, low emission of greenhouse gases, and conservation of natural resources help to make asphalt paving the environmental pavement of choice. 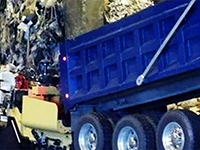 Asphalt paving in Parlin NJ is America’s most recycled product. According to the U.S. Environmental Protection Agency and the Federal Highway Administration, about 90 million tons of asphalt paving is reclaimed each year, and over 80 percent of that total is recycled. Reclaimed asphalt pavement (RAP) can be recycled into pavement that is as high, or even higher, in quality as paving made of all-virgin materials. And, the same material can be recycled again and again; it never loses its value. The asphalt paving cement—the glue that holds the paving together—retains its ability to function as glue or cement, so that it is reused for its original purpose. The aggregates (rocks, sand, and gravel) in the original paving are also conserved. Many pavements that are more than 20 years old are actually worth more than they were when originally constructed. It is estimated that recycling of asphalt paving saves the American taxpayer $1.8 billion per year. It also saves hundreds of acres of landfill space each year. Materials from other industries are routinely recycled into asphalt paving instead of going into landfills. Some of the most common are rubber from used tires, glass, asphalt roofing shingles, and blast furnace slag. Asphalt paving plants also recycle the fine mineral particles that are generated in the process of producing asphalt paving material. This routine recycling of co-generated paving material helps to conserve natural resources.